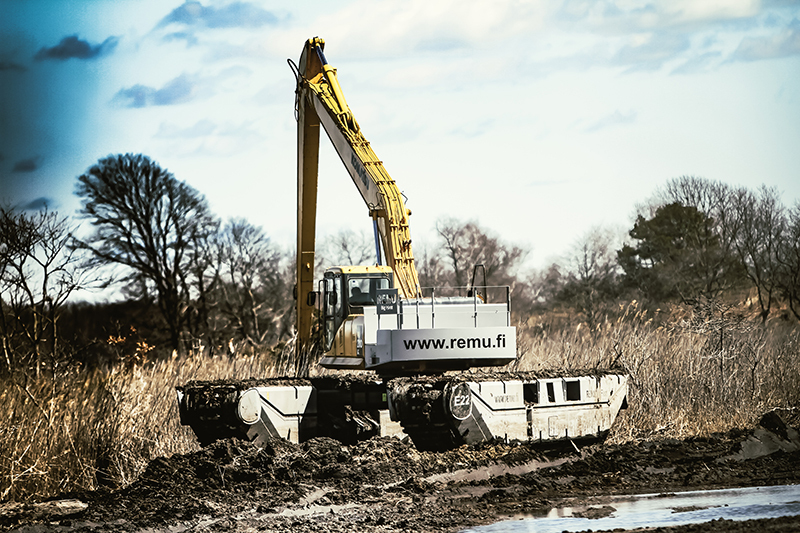 REMU Big Float is a unique amphibious excavator for the most challenging environments like swamp, shoreline, waste ponds and canals. The patented pontoon undercarriage, that can be narrowed, enables easy transportation along public roads. 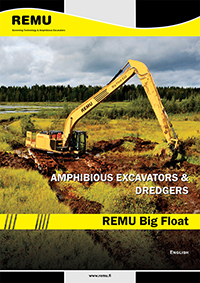 REMU Big Float is instantly ready to use without any assembly at the jobsite. 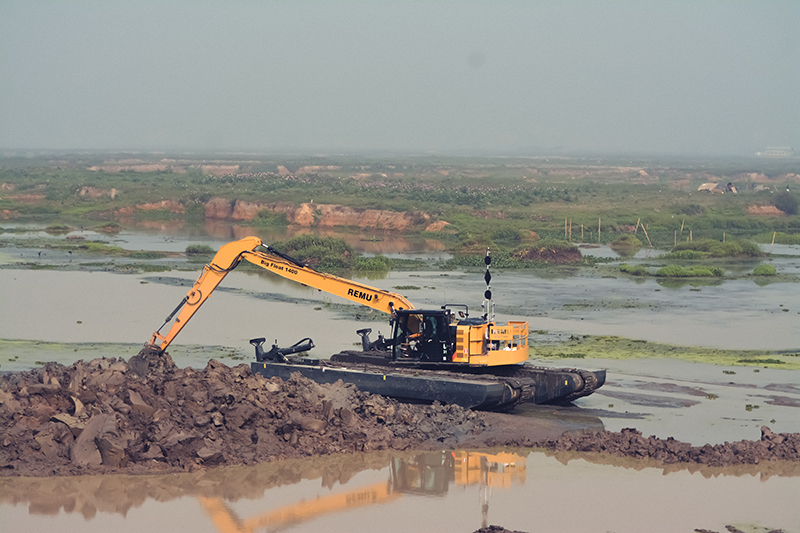 All kinds of digging and dredging in shallow water areas down to 9 meters can be acheived with Big Float. 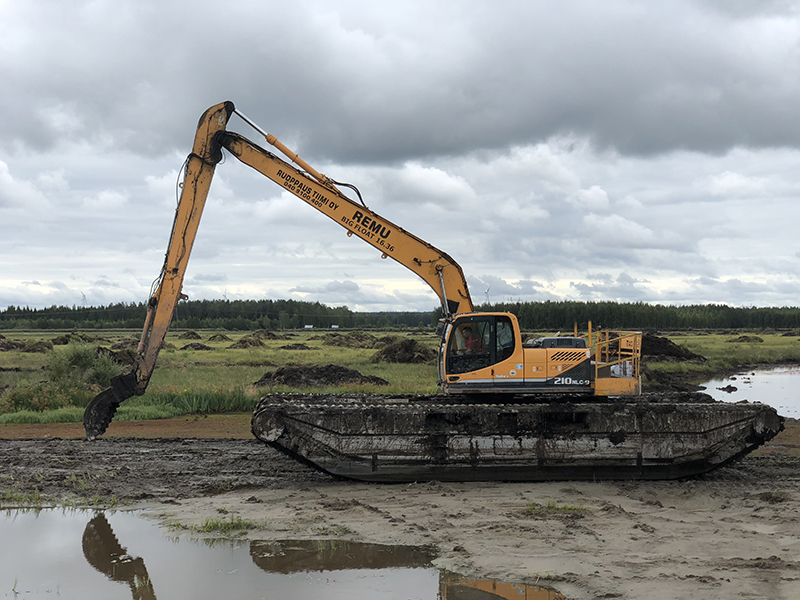 Removing mud or stones, transforming reservoir and river banks or cleaning industrial waste ponds are the most common applications for Big Float. Aquatic vegetation that is growing on the bottom of the river or lake can be removed with Big Float. With Big Float it is possible to remove plant roots and thus prevent plants growing back. If it is needed, also special hydraulic tools can be used for cutting. 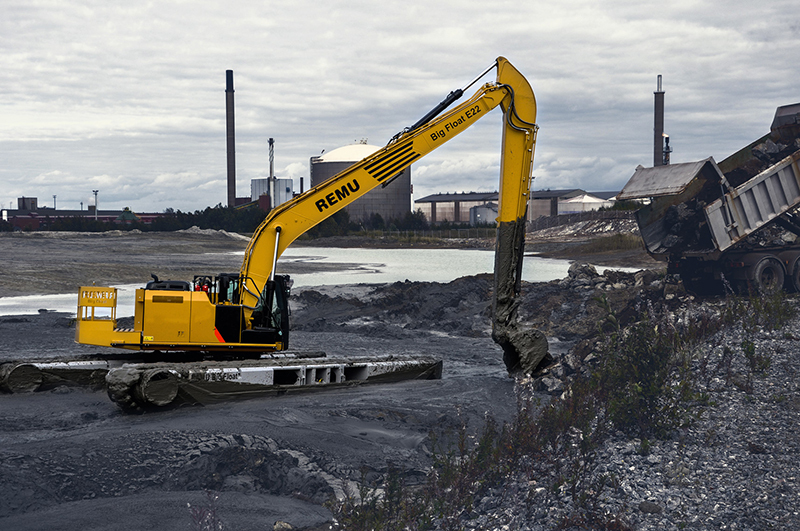 Big Float is easy to operate in water channels and other narrow water ways. Rubbish, leaves and branches from trees and excess sediment that is piling on the bottom of the channel can be removed with a rake or dredging bucket.